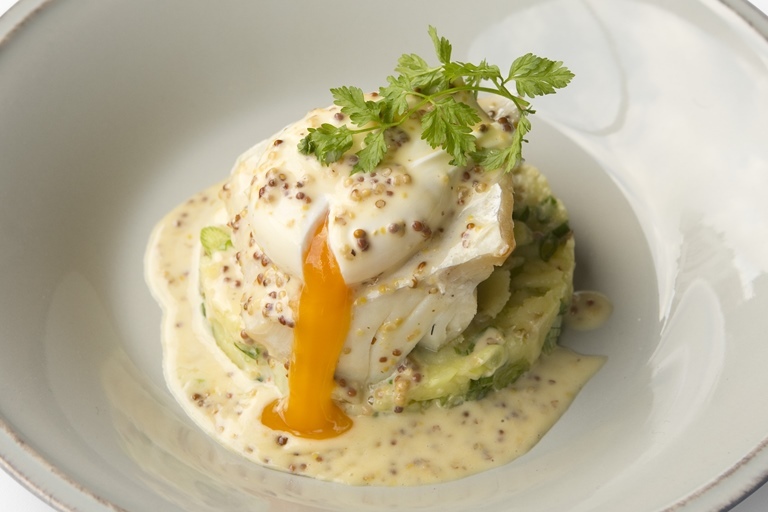 Taken from the menu of Bryn Williams' beachfront bistro, Porth Eirias, this deliciously simple smoked haddock recipe combines gently poached fish with crushed new potatoes and a rich buttery mustard sauce. Topped with a poached egg, this recipe would be perfect as a simple lunch or supper, or even a very indulgent weekend brunch. Bryn Williams trained in three of London’s most challenging kitchens, gaining a solid classical education as he worked. At his neighbourhood restaurant, he offers highly accomplished dishes showcasing the very best produce that Wales has to offer.